If you have tons of old or unnecessary notes on iPhone or iPad, you may really want to delete them with easy ways. Because deleting notes one by one on iPhone/iPad is quite time-comsuming for you. Now, the post will introduce you an easy way to delete all your notes on iPhone/iPad permanently. Let’s see how to do that. If you only have a few note events on your iPhone Notes app, you can directly delete them one by one on iPhone. The following steps will show you how to do that. Step 1. 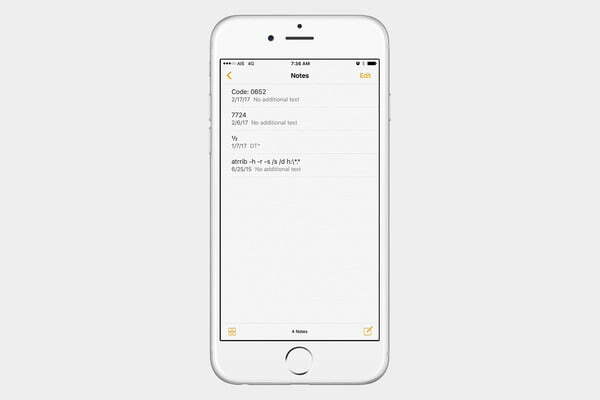 Launch the iPhone’s Notes app. Tap the “Notes” button to see a list of note titles. Step 2. Drag a note title to the right to quickly delete a note without opening it. Tap the red “Delete” button that appears to delete the note immediately. Step 3. Tap a note title if you want to review the note before deleting it. Tap the “Trash” button at the bottom of the screen and then tap the red “Delete Note”. If you have plenty of duplicate notes on iPhone or iPad and you want to delete them permanently, you may find an easier way to finish the task. If you want to delete notes from iPhone in batch, and meanwhile delete the notes in iTunes, you will want to try this iPhone manager software – Leawo iTransfer. Leawo iTransfer is used for transferring files among iOS devices, iTunes and PCs, and it helps users manage the files in their iOS devices with ease. The following guidance will show you how to delete notes on iPhone in batch, and you can free download this software to have a try. Note that the trial version has limited transfer times. 1. Run Leawo iTransfer after installing it, and connect iPhone to computer with the USB cable. The software will recognize the iPhone and automatically detect the libraries of the iPhone, and show the libraries in the left sidebar. 2. Choose “Notes” library and then the contents will be shown in the right part of the window. And you can choose the notes you want to delete, then click “Delete” button. The software will start deleting notes on iPhone, and it will finish the deleting process in very short time. Apart from deleting files on iOS devices, the software is mainly used as transfer files among iOS devices, iTunes and PC. For example, you can transfer notes from iPhone to PC with the software. Note：If you accidentally delete some important iPhone notes with the methods above and you want to find them back, you can take advantage of the iPhone data recovery tool to help you recover deleted notes from iPhone. MultiNoteDelete is pitched itself as one of the most convenient and efficient tools to manage notes on iPhone. It is compatible with iOS version 4.0 and later. You can obtain this app from BigBoss repo and after you download and install the app on your computer, you won’t need to worry any add-ins or extra programs are installed to your computer in a secret way. To delete notes on iPhone, you can definitely resort to MultiNoteDelete. Before you embark on using this tool, please make sure your iOS device is jailbroken. Please bear in mind that MultiNoteDelete is software designed for Cydia, therefore it is not an official modification made by Apple. Under the jailbroken situation, you can access “MultiNoteDelete” on Cydia and install it to your iOS device. 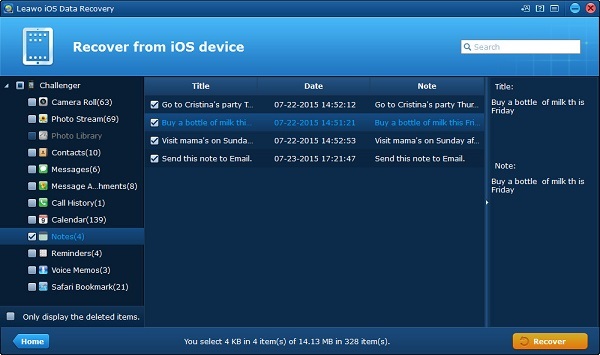 After that, now you can start the trip of deleting notes on iPhone via MultiNoteDelete. 1. Launch your “Notes” application on your computer. 2. On the top, find "Edit" button and tap on "Edit" button. You will see round check boxes next to each note. 3. 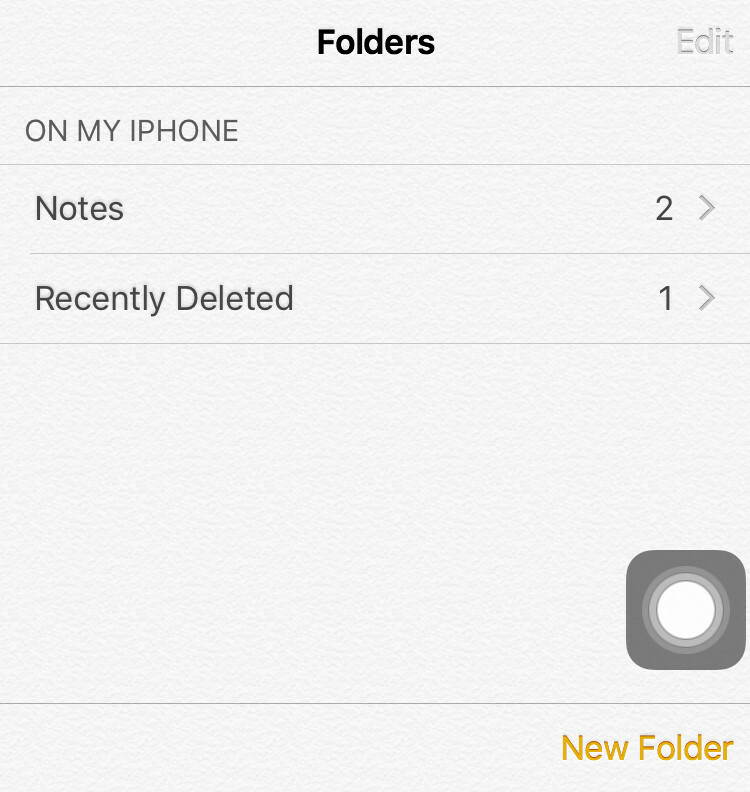 Select any note you want to delete and tap on "Trash" icon to start deleting notes on iPhone. See, isn’t MultiNoteDelete really easy and efficient to delete notes on iPhone? Worth to mention again, if you want to this software to function, please make sure your device is jailbroken. If you would like to delete notes on non-jailbroken device, you can still remove all notes permanently. However, they will be no possibility to be recovered. 3D Touch is a magic tool that enables you to activate actions instead of apps, preview messages, delete notes, reply to messages, switch apps, switch keyboards and so on. Its functions are beyond your imagination. Anyway, with it, you will be likely to be crazy at iPhone devices for its super convenience and efficiency. When it comes to deleting notes on iPhone, why not try 3D Touch? How to delete notes on iPhone using 3D touch? Let’s take a look. 1. Open Notes app on your iPhone and you will see a list of notes. 2. Press down on the note you would like to delete to perform a peek. 3. In peek node, swipe up and tap on "Delete" from the options to delete notes on iPhone. Leawo iOS Data Recovery offers efficient solutions to recover data like notes, messages, bookmarks and the like from iOS devices, iTunes and iCloud backups. It enjoys fashion and modern appearance that enables new beginners to quickly learn how to use the software. 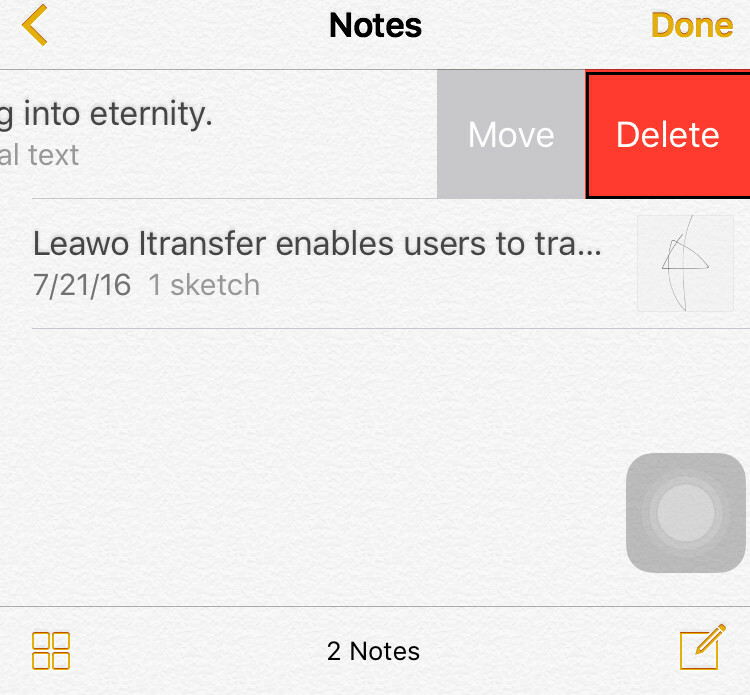 If you mistakenly delete notes, Leawo iOS Data Recovery will be the first solution I would like to recommend to you. OK, the following guidance will show you how to recover deleted notes accidentally via iOS Data Recovery. Step 1. Download and install the software from the official website: http://www.leawo.org/ios-data-recovery/. After that, run Leawo iOS Data Recovery on your computer. 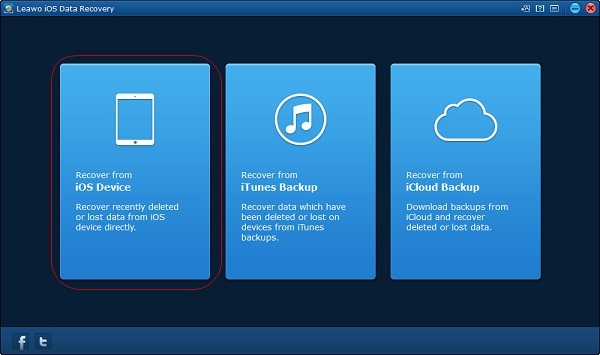 You will see three options: "Recover from iOS device", "Recover from iTunes Backup" and "Recover from iCloud Backup". 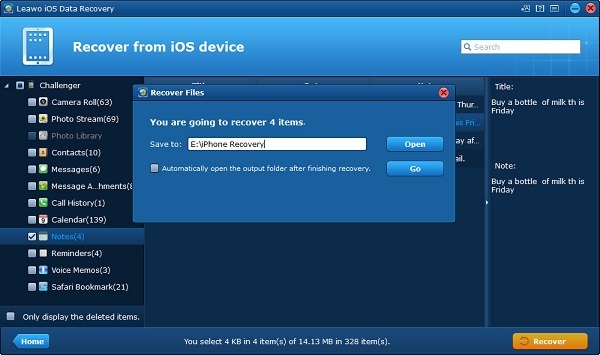 Here, we can choose "Recover from iOS Device". Step 2. Now connect iPhone to the computer with USB cable. The software will automatically recognize your device and show its type on the screen. Click on the big green button "Start" to continue. Step 3. 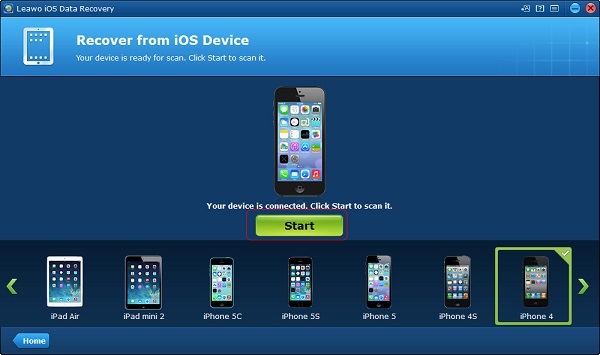 The Leawo iOS Data Recovery will start scanning your iPhone and show iPhone categories of contents in the left sidebar. You can see categories like camera roll, photo stream, contacts, messages and so on. 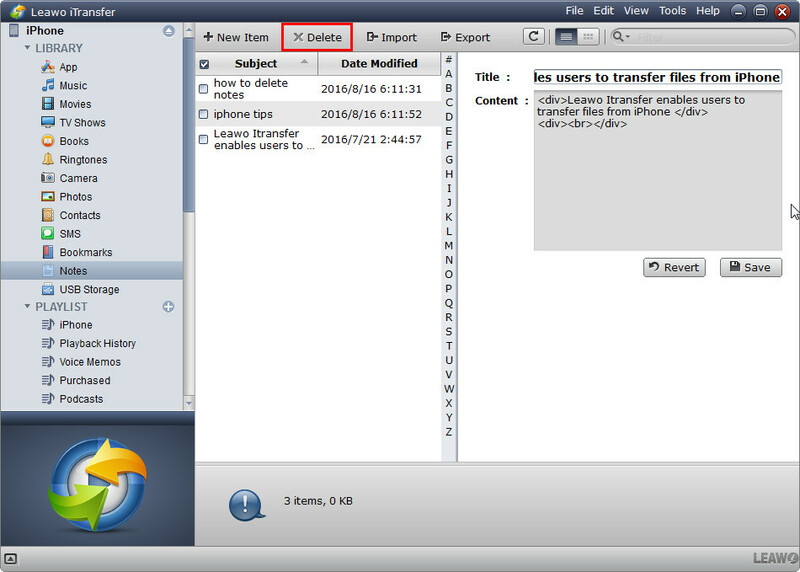 Check "Notes" and "Only display the deleted items", then you will see deleted items on the right side of the interface. Click on "Recover" at the bottom right corner. Step 4. A dialogue will pop out. Click on "Open" to set an output directory and then click on "Go" to start to recover deleted notes from your iPhone device. If you want to transfer any data between iOS devices, iTunes and computers, you definitely should try Leawo iTransfer. It is easy and efficient that allows you to manage your devices by deleting unwanted notes and duplicated songs, customizing playlist names and creating new playlists. If you mistakenly delete wrong data, don’t worry, you still have Leawo iOS Data Recovery on your back. It will help you to recover data from your iOS device, iTunes backups, and iCloud backups. With it, you can get back lost data with ease. Leawo also has other useful tools. Wait for you to discover a wonderful world with more knowingness to Leawo.